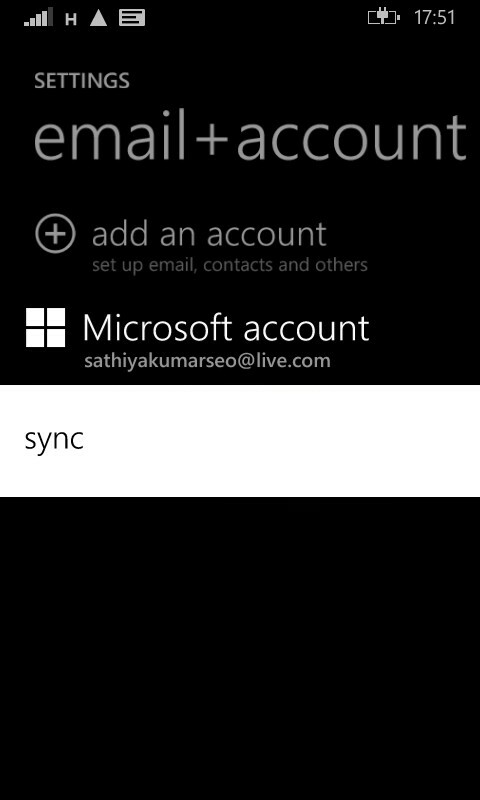 I want to add my company Outlook account in my Lumia 525. I have already added an Outlook account( my Microsoft account ) but I want to add only my company account, so I tried to delete that Outlook account using the steps available from Windowsphone.com website. But I'm not able to delete my previous account as I don't find a delete option if I tab my account from Settings -> Email + accounts. 1. In the App list, tap Settings Settings icon, then tap Email + accounts. 2. Tap and hold the account you want to delete, tap Delete, then tap Delete again. I only find the sync option. How to remove my old Outlook account and how to add my new one? It is not possible to delete the Microsoft account that was used to set up your phone. You will need to reset your phone and set it up again with another account. Which will lose all your apps, music, etc. Hopefully this problem will be fixed in Windows 10 for phones. Not the answer you're looking for? Browse other questions tagged email microsoft-account outlook nokia-lumia-525 or ask your own question.